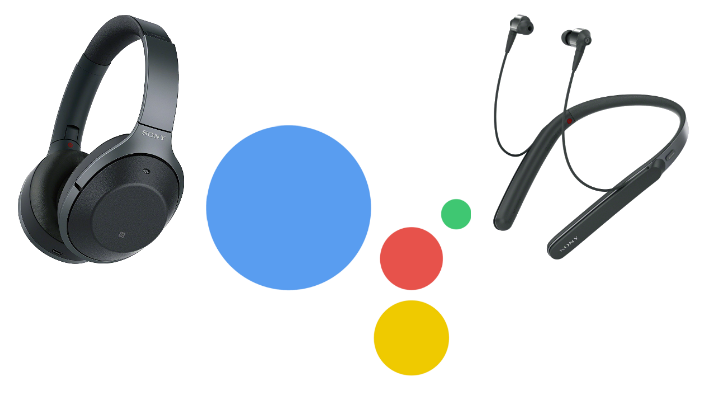 Back at CES 2018, Google made a huge splash by announcing Assistant support on every gadget and electronic imaginable. Sony was on the list, but the company did one better than many of its competitors: beside launching new headphones and headsets with Assistant, it promised an update for some of its existing products that would bring them the same feature. 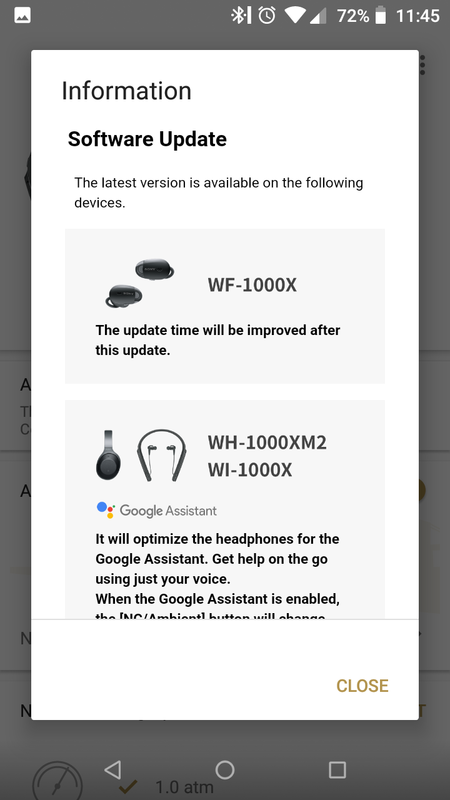 And now that firmware is rolling out. With software update 2.0.0, which is rolling to both the WH-1000XM2 and WI-1000X now, the over-ear headphones and in-ear neckband earphones will both be optimized for the Google Assistant. 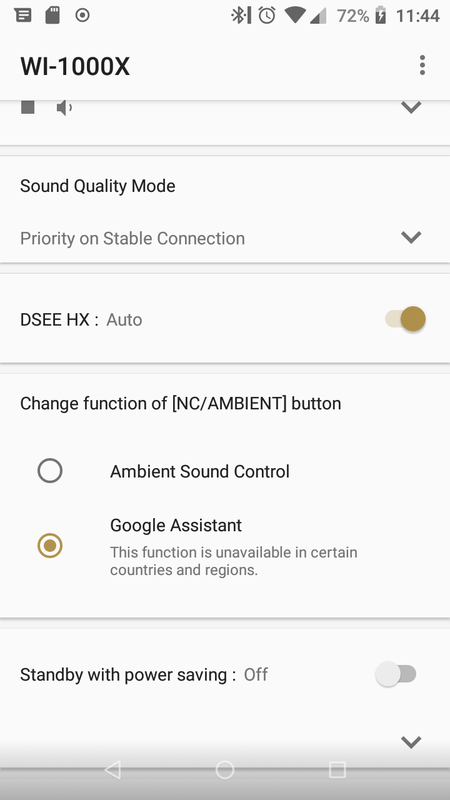 Sure, you can already trigger Assistant on most headphones by tapping and holding the call button, but proper Assistant integration (aka "Bisto") adds some benefits: the process of push-to-talk is faster, it works with Assistant on iOS devices, and you can get notifications spoken to you on the headset. 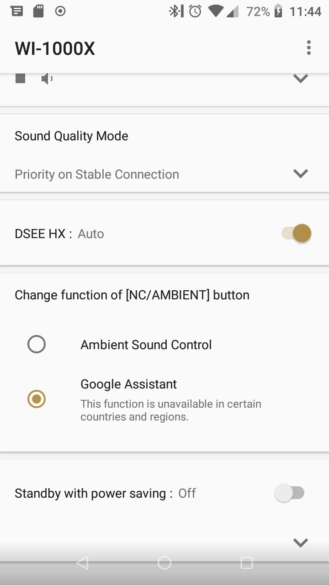 To get it working, after updating your headset's software, you can change the noise cancellation / ambient button to trigger Google Assistant instead. 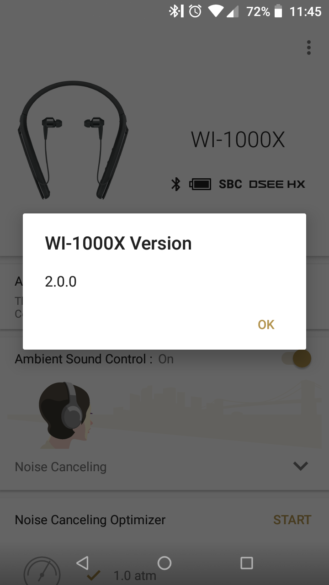 So far, the screenshots we've received show the firmware rolling to the WI-1000X and WH-1000XM2 models, but Sony had promised three more headsets would get it too: the WF-1000X, WH-CH900N, and h.ear on 2 WH-H900N. Hopefully those are coming later. In the meantime, kudos to Sony! We apologize for the inconvenience, but the release of this software update has been delayed. We are working on the issue and will release the update as soon as possible. 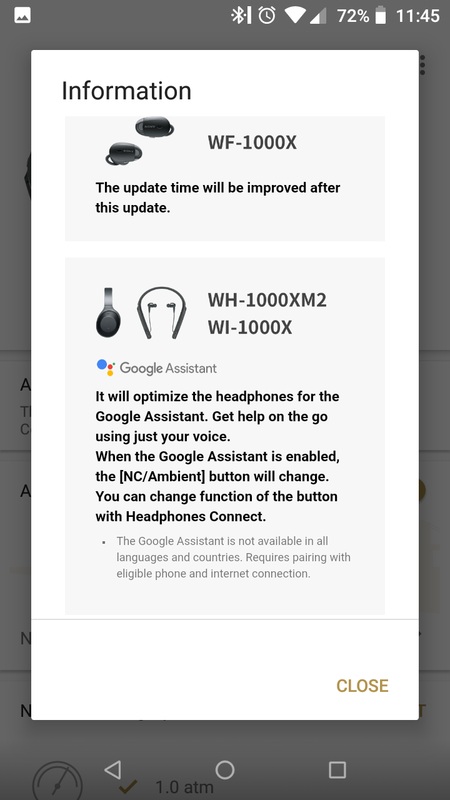 We'll let you know once we hear that the update is rolling out again.